BA, Religious Studies, UC Santa Barbara, 2001. MA, Religious Studies, UC Santa Barbara, 2006. PhD, Religious Studies, UC Santa Barbara, 2012. Areas of Study at UCSB: East Asia-Chinese Religions, Religion and Culture, History of Religions, Anthropology of Religions, Philosophy of Religion, Technologies of the Self/Body, Sacred Space, Charisma. Current Employment: Visiting Assistant Professor, Department of Comparative Religion, Western Michigan University. BA, Biology, University of Rochester, 1970. MA, Religious Studies, UC Santa Barbara, 1977. PhD, Religious Studies, UC Santa Barbara, 1984. Areas of Study at UCSB: Chinese Religions, Confucianism, Buddhism, Ancient Mediterranean. Current Employment: Professor of Religious Studies and Asian Studies, Kenyon College. BA, Business Administration, Clark University, 1998. MA, Religious Studies, UC Santa Barbara, 2011. Areas of Study at UCSB: Islamic Studies, Medieval Middle East History. AB, Religion and Modern Languages & Literatures, Kenyon College, 2001. Areas of Study at UCSB: Medieval Spain and North Africa, Sephardim and Sephardic Diaspora, Hebrew and Arabic Convivencia Literature, Vernacularism, Alfonso X, Medieval Biblical/History Projects, Creativity. Current Studies: MA, Near Eastern Languages, Ohio State University. BA, Philosophy, Oberlin College, 1988. MDiv, Princeton Theological Seminary, 1991. PhD, Religious Studies, UC Santa Barbara, 1999. Areas of Study at UCSB: Islam, Theory and Method for the Study of Religion, and Philosophy of Religion. Current Employment: Associate Professor, Department of Theology, College of St. Benedict and St. John’s University. BA, Interdisciplinary Studies in Anthropology, Psychology, and Religious Studies, UC Berkeley, 2006. MA, Religious Studies, UC Santa Barbara, 2010. PhD, Religious Studies, UC Santa Barbara, 2015. Areas of Study at UCSB: Indigenous Religious Traditions of the Americas and Tibet, Tibetan Buddhism, Chicano Religions, Indigenous Ontology, Healing Historical Trauma, Religiosity as Social Justice, Transnational Religiosity, Race and Religion. BA, Religious Studies, UC Santa Barbara, 2013. JD, Santa Barbara College of Law, 1980. MA, Religious Studies, UC Santa Barbara, 2015. 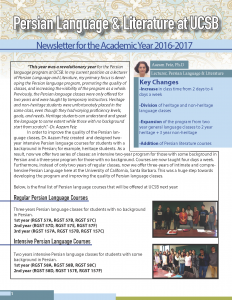 Areas of Study at UCSB: East Asian and South Asian Religious Traditions, Buddhism, Tibetan Buddhism and Language. BA, Religious Studies, Occidental College, 2004. MA, Religious Studies, UC Santa Barbara, 2009. Areas of Study at UCSB: American Religion and Spirituality, Religious Experience, Contemporary Religious Change, Religion and the Media, Religion and Technology, Religion and Medicine/Healing, Religion and Pluralism, Secularism and the Sacred. BA, Classical Studies & Spanish, Marshall University, 2001. PhD, Religious Studies, UC Santa Barbara, 2009. Areas of Study at UCSB: Mesoamerican Religions (Mexica-Aztec). BA, Religious Studies, Humboldt State University, 2005. MA, Religion/Islamic Studies, Duke University, 2006. PhD, Religious Studies, UC Santa Barbara, 2013. Areas of Study at UCSB: Islamic Studies, Sufism, Qur’anic Studies, Pluralism, Ethics, Mysticism, Identity, Pedagogy, Narratives, Arabic, Persian. Current Employment: Assistant Professor, Department of Religious Studies, LeMoyne College. BA, University of Vermont, 1991. MA, Religious Studies, UC Santa Barbara, 1994. Areas of Study at UCSB: South Asian Buddhism, Religions of India, Pali, Sanskrit, Critical Theory. Current Employment: Professor of Religious Studies, Missouri State University. BA, Religion, The Colorado College, 1999. MA, Religious Studies, UC Santa Barbara, 2003. PhD, Religious Studies, UC Santa Barbara, 2008. Areas of Study at USCB: Religion and Nature, Contemporary Forms of Spirituality, Implicit Religion, Religion in American Culture and in the Modern West, Philosophy of Religion, Sociology of Religion, Sacred Space. Current Employment: Associate Professor, Department of Philosophy and Religion, American University. BA, Religious Studies and English Literature, Smith College, 1991. MA, Religious Studies, Columbia University, 1995. PhD, Religious Studies, UC Santa Barbara, 2004. Areas of Study at UCSB: Islam in South Asia. BA, Religious Studies, UC San Diego, 1995. MA, Liberal Arts, San Diego State University, 1998. PhD, Religious Studies, UC Santa Barbara, 2005. Areas of Study at UCSB: History of Religions, Islam. Current Employment: Associate Professor and Chair, Department of Religious Studies, Humboldt State University. MA, Religious Studies, UC Santa Barbara, 2007. Areas of Study at UCSB: History of Christian Thought, Religion and Modern Thought, Social and Critical Theories of Religion, Gender, Sexuality, and Feminist Theory. BA, Religion, Reed College, 1986. MA, Religious Studies, UC Santa Barbara, 1989. MA, Buddhist Studies, University of Michigan, 1993. PhD, Buddhist Studies, University of Michigan, 2001. Areas of Study at UCSB: Comparative Philosophy of Religion, Cross-Cultural Hermeneutics, South Asian Religions. Current Employment: Associate Professor and Chair, Department of Religious Studies, College of Charleston. BA, Philosophy and Religion, Colgate University, 1992. Areas of Study at USCB: Indian Religions, Yoga, Chinese Buddhism. BA, Religion, Earlham College, 1991. MTS, World Religions, Harvard, 2000. MLIS, Archives Management, Simmons College, 2006. Areas of Study at UCSB: Immigration and Transnationalism, Islam and Asian Religions in the United States, Theories of Consciousness, Subjectivity, Subject-Formation. Current Employment: Curator, Stanford Medical History Center. BA, University of Rochester, 1993. MA, Religious Studies, UC Santa Barbara, 1996. PhD, Religious Studies, UC Santa Barbara, 2003. Areas of Study at UCSB: Hinduism, Kashmir Shaivism, Mysticism, Hinduism in America, Psychology of Religion, Religion and Madness, Sanskrit, Yoga Traditions. Current Employment: Visiting Assistant Professor, Department of Religion, Davidson College. BA, Mathematics and Philosophy, St. Olaf College, 1982. MA, Religious Studies, UC Santa Barbara, 1988. PhD, Religious Studies, UC Santa Barbara, 1992. Areas of Study at UCSB: Religions of Mediterranean Antiquity, Comparative Philosophy of Religion. Current Employment: Chair of Humanities & Religious Studies, California State University, Sacramento. BA, Theology & Philosophy, UIN Syarif Hidayatullah, Jakarta, Indonesia, 1999. MA, Islamic Studies, Universiteit Leiden, the Netherlands, 2004. MSc, Social Research Methods and Statistics, University of Manchester, UK, 2007. Area of Study at UCSB: Religious Minorities in Islam, Sufism, Interpretations of the Qur’an, Islam in Southeast Asia. Current Employment: Researcher at the Indonesian Institute of Sciences (LIPI), Jakarta. BA, Religious Studies and Philosophy, Connecticut College, 1990. MA, Folk Studies, Western Kentucky University, 1993. MA, Religious Studies, UC Santa Barbara, 1995. PhD, Religious Studies, UC Santa Barbara, 2002. Areas of Study at UCSB: American Religious History, Folk and Popular Religion in the United States, Cultural History of Religion, Sociology of Religion. Current Employment: Associate Professor, Dept. of Religious Studies, University of Missouri-Columbia. BA, Religious Studies, UC Santa Barbara, 1997. Areas of Study at UCSB: Buddhist Studies, Tibetan Religion and Culture, Ethnography. BA, Comparative Religion, and English and American Literature, Harvard University, 1986. MDiv, World Religions, Harvard Divinity School, 1989. PhD, Religious Studies, UC Santa Barbara, 1997. Areas of Study at UCSB: American Religion, History of Religions, Chicano/Latino Religions. Current Employment: Associate Professor of Religious Studies, Le Moyne College. BA, Religious Studies, California State University, Northridge, 1975. PhD, Religious Studies, UC Santa Barbara, 1981. Areas of Study at UCSB: Religion and Culture, Christianity, North American Religion. Current Employment: Chair of Religious Studies and Director of the Institute for Comparative Religion in Southern Africa, University of Cape Town. MST, Study of Religion, Oxford University, 2002. PhD, Religious Studies, UC Santa Barbara, 2011. Areas of Study at USCB: Hindu Devotional Traditions, Psychology/Cognitive Science of Religion, Religious Experience. Current Employment: Assistant Professor of Religious Studies, Department of Philosophy and Religious Studies, Iowa State University. BS, Political Science, Santa Clara University, 1992. MDiv, Princeton Theological Seminary, 1999. MSW, Rutgers University, Graduate School of Social Work, 2000. MTh, Eastern Orthodox Theology and History, St. Vladimir’s Seminary, 2002. MA, Systematic Theology, Boston College, 2005. Areas of Study at UCSB: South Asian Religions, Hinduism, Christianity, Global Christianity, Inter-Religious Encounter, Methodology in Comparative Religion, History of Religions. Current Employment: Assistant Professor, Department of Religion, University of Hawaii, Manoa. BA, Anthropology and Native American Studies, The Evergreen State College, 1994. Areas of Study at USCB: Botanical Healing and American Spirituality, Religion and Ecology, Native American Religious Traditions, Religion in Western Civilization, Ancient European Religious and Medical Traditions, and Native American Linguistics. Areas of Study at UCSB: American Indian Religious Traditions, Women in Religion, Cross-Cultural Religion and Healthcare, Ethnic and Gender Diversity in Contemporary American Religious Life. Current Employment: Assistant Professor, Religion and Culture, Pacific Lutheran University. BA, English and Women’s Studies, Colorado State University, 1994. MA, Folklore and Women’s Studies, University of Oregon, 1999. PhD, Religious Studies, UC Santa Barbara, 2007. Areas of Study at USCB: Feminist Theory, Queer Theory, Performance Studies, Subjectivity, Embodiment, Political Belief, Contemporary American Religious Expression, Cultural Studies, Social Movements. Current Employment: Professor, Women’s and Gender Studies, Eastern Michigan University. Areas of Study at UCSB: Religion in America. Current Employment: Instructor, Religious Studies, University of Alabama. BA, American Studies, Yale University, 1987. PhD, Religious Studies, UC Santa Barbara, 1998. Areas of Study at UCSB: American Religious History, Religion and Science, Sociology of Religion. Current Employment: Assistant Professor, Religious Studies, Hartwick College. BA, Political Science, Vassar College, 1998. Areas of Study at USCB: Traditions of Islam, Religion and Politics, Colonialism in the Middle East, Religion and Nationalism, Philosophy of Religion. Current Employment: Assistant Professor, Departments of History and Religious Studies, Grinnell College. BA, Religious Studies, Geography, and Environmental Studies, UC Santa Barbara, 1995. MA, Religious Studies, University of Colorado-Boulder, 1999. Areas of Study at UCSB: South Asian Religious Traditions, Hindu Tantra, Religion and Visual Culture, Philosophy of Religion, Approaches to the Study of Religion. Current Employment: Assistant Professor, Religious Studies, UC Davis. BA, Classics, St. John’s College, 2002. MA, Religious Studies, University of South Carolina, 2006. PhD, Religious Studies, UC Santa Babrara, 2012. Areas of Study at UCSB: Art and Religion, Asian American Religions, African American Religions, Indigenous Traditions, Spirituality, Popular culture, Sexuality, Poststructuralism, Ethnography of Religion. Current Employment: “Religion, Race, and Discrimination” Postdoctoral Teaching Associate, Central Michigan University. BA, Religion, Syracuse University, 1988. MA, Religious Studies, UC Santa Barbara, 1993. PhD, Religious Studies, UC Santa Barbara, 2000. Areas of Study at UCSB: American Religious History, Early New England Studies, Religion and the Body, Gender and Religion. Current Employment: Associate Professor, Department of Religious Studies, Missouri State University. BA, History, Brigham Young University, 1999. MA, History, California State University, Stanislaus, 2003. Areas of Study at UCSB: History of Christianity, Religion in the Roman Empire, Religion in the Middle Ages, English Reformation, and Religion and Modernity (Enlightenment), Mormonism. BA, Religion, Centre College, 2006. AM, Islamic Studies, Washington University in St. Louis, 2008. Areas of Study at UCSB: Islamic Law and Jurisprudence, Islamic Theology and Philosophy, Contemporary Islamic and Arab Intellectual History and Development, Philosophy of Religion, Philosophy of Law, Philosophy of Violence, Internet Religious Communities, Secularization. Current Employment: Assistant Professor, Department of Comparative Religion, Miami University. BA, Philosophy, University of Notre Dame, 1994. MA, Graduate Theological Union, 1997. Areas of Study at UCSB: Religion in America, Ethnicity, Immigration and Religion, Death and Dying. Current Employment: Associate Professor, Religious Studies, Marymount University. BA, University of New Mexico, 1998. Areas of Study at UCSB: Religion in American Popular Culture, Religion in Media, Religion in Video Games, Early Christianity/New Testament, Languages. BA, Liberal Arts, University of Texas at Austin, 1999. Areas of Study at UCSB: History of Religions, Religion and Science, Religion and Art, History of Science. Current Employment: Professor of Religious Studies, Manhattan College. BA, English Translation and Literature, Azad University, Iran, 2003. MA, Education, Tehran University, Iran, 2005. MA, Global and International Studies, UC Santa Barbara, 2008. Areas of Study at UCSB: Islamic Law and Jurisprudence, Religious Movements, Gender and Sexuality. BA, Religion, University of Rochester, 2002. Areas of Study at UCSB: Sikhism. Current Employment: Assistant Professor of Religion, California Lutheran University. BA, World Religions, Human Rights, and the Arts, Hampshire College, 2000. MA, Religious Studies, UC Santa Barbara, 2005. PhD, Religious Studies, UC Santa Barbara, 2010. Areas of Study at UCSB: Religious Conflict in Israel and in India, Jews in Modern Europe, Religion and Politics, Roles of Race and Gender within and between Religious Communities. Current Employment: Assistant Professor, Department of Religion, Wake Forest University. BA, Religious Studies and Women’s Studies, Western Michigan University, 2000. MA, Religious Studies, University of Colorado, Boulder, 2004. Areas of Study at UCSB: Religion, Politics, and the Law; Gender, Race, and Religion in the United States. Current Employment: Assistant Professor, Department of Philosophy, Middle Tennessee State University. BA, Religious Studies, California State University, Bakersfield, 2003. MA, Religious Studies, UCS Santa Barbara, 2006. Areas of Study at USCB: Latin American History, Indigenous Religious History, African Diaspora. Current Employment: Bishop James A. Healy Postdoctoral Fellow, Department of Religious Studies, College of the Holy Cross. BA, English, University of Oklahoma, 2006. MEd, University of Oklahoma, 2008. MA, History, UC Santa Barbara, 2012. Areas of Study at UCSB: History of Christianity, Early Modern Catholicism. BA, Philosophy, Grinnell College, 1996. MTS, Harvard Divinity School, 2002. Areas of Study at UCSB: Cultural and Comparative History of Religions, Jewish Studies, Critical Theory, Animal Studies. Current Employment: Assistant Professor of Theology and Religious Studies, University of San Diego. AB, English & Education, Rutgers University, 1970. EdM, Urban Education & English, Rutgers University, 1971. MA, Religious Studies, UC Santa Barbara, 1980. PhD, Religious Studies, UC Santa Barbara, 1983. MA, TESL, Northern Arizona University, 1990. Subject of Master’s Thesis: Ancient Indic & Ancient Mediterranean Traditions. Current Employment: ESL Instructor at the University of Wisconsin, La Crosse. BA, Religious Studies and Psychology, UC Santa Barbara, 2000. MA, Buddhist Studies, Naropa University, 2007. Areas of Study at UCSB: Tibetan Buddhism, Tantra, Buddhism in America. BA, The Johns Hopkins University, 1995. MTS, Harvard Divinity School, 2000. Certificate, Center for Arabic Studies Abroad, American University in Cairo, 2002. Areas of Study at UCSB: Judaism, Islam, Modern Islamic Political Movements, Middle Eastern Politics, Non-violence, Conflict Resolution and Transformation, Languages (Biblical Hebrew, Modern Hebrew, Modern Standard Arabic, Egyptian Colloquial Arabic). BA, Islamic and Asian Studies, University of Toronto, 1974. MA, South Asian History, University of Toronto, 1984. MA, Religious Studies, Loyola University New Orleans, 1990. PhD, Religious Studies, UC Santa Barbara, 1996. Areas of Study at UCSB: Early South and Southeast Asian Religious History, Theravada Buddhism, Theories of Comparative Religious Studies, Psychology of Religion. Current Employment: Lecturer, Department of Religious Studies, California State University, Long Beach. BA, Biological Sciences, California State University, 1983. Certificate, Institut International des Droits de l’Homme, Strasbourg 1982. Areas of Study at UCSB: Science and Religion, American Religious History, New Religious Movements, Philosophy of Religion. Current Employment: Professor of Comparative Religion and Christian Apologetics, Graduate School, Biola University. BA, Religious Studies and Cultural Anthropology, UC Santa Barbara, 2006. PhD, Religious Studies, UC Santa Barbara, 2014. Areas of Study at UCSB: Religion and Popular Culture, Sport and Religion, American Religious History, Sociology of American Religion. BA, Philosophy and Romance Language, New York University, 1997. MA, Art History, UC Santa Barbara, 2005. Areas of Study at UCSB: Chinese Religions, Art and Religion, Sacred Space, Philosophy of Religion, Art History and Critical Theory. BA, English/Women’s Studies, Emory University, 2001. Areas of Study at UCSB: Feminist Theology, Feminist Re-interpretation of Islam, Women in Early Islamic History. Current Employment: Assistant Professor of Islamic Studies, University of San Francisco. BA, Religious Studies, Brown University, 2000. Areas of Study at UCSB: History and Sociology of Religion in the United States; Religion and the Body, Illness, and Disability; Religion, Healing, and Medicine(s); Religion and Gender; Metaphysical/Esoteric Religion; Pentecostalism. BA, Philosophy and English, Lewis & Clark College, 2002. MAR, History of Christianity, Yale Divinity School, 2004. MAT, Language Arts, Lewis & Clark College Graduate School, 2006. PhD, Religious Studies, UC Santa Barbara, 2018. Areas of Study at UCSB: Religion in America, Sociology of Religion, American Religious History, New Religious Movements, Secularism and Secularity, Globalization and Religion, Race and Religion, Religion in the American West. Current Employment: Lecturer, Departments of Religious Studies and Asian American Studies, UC Santa Barbara. BA, Sociology and Anthropology, Kalamazoo College, 2004. MA, Humanities and Social Thought, New York University, 2006. BA, Archaeology/Cultural Resource Management, Prescott College, 1996. Areas of Study at UCSB: Religion in Late Antiquity, Manichaeism, Heretical Groups, Kabbalah, Esoterica and “Fringe” Religions, Religious Experience. BA, Political Science, Rutgers College, 1983. MA, American Religious History/European Intellectual History, George Washington University, 1990. Areas of Study at UCSB: American Religion, Religion and Society, Evangelicalism and Fundamentalism. Current Employment: Associate Professor of Religious Studies and Religions Studies Program Coordinator, Department of Philosophy, University of North Florida. BA, Music, Fontbonne University, 1991. MDiv, Pacific School of Religion, 2003. Areas of Study at UCSB: Race and Religion, Music and Religion, African American Religion. Current Employment: Assistant Professor, Department of African American Studies, University of Illinois, Chicago. BA, Western Philosophy, University of Wisconsin-Madison, 1996. MA, Languages and Cultures of Asia, University of Wisconsin-Madison, 2000. Areas of Study at UCSB: Buddhist Violence, Thai Buddhism, Mongolian Buddhism, Performance Studies, Race Studies, Global Religions. Current Employment: Assistant Professor, Youngstown State University. BA, Near Eastern Studies, UC Berkeley, 1984. MA, Near Eastern Studies, UC Berkeley, 1987. MA, Religious Studies, UC Santa Barbara, 1997. Areas of Study at UCSB: History of Religions, Medieval and Modern Islamic Traditions, Medieval Christian Culture, History of Muslim Spain, Arabic Literary Traditions, Comparative Religion: Islam and Christianity. Current Employment: Juan de la Cierva Academic Researcher on Medieval Christian and Muslim Spain, Department of History, Instituto Milà i Fontanals, Consejo Superior de Investigaciones Científicas, Barcelona, Spain. BA, Liberal Studies and Middle Eastern Studies, University of Delaware, 2011. MA, Religious Studies, UC Santa Barbara, 2014. 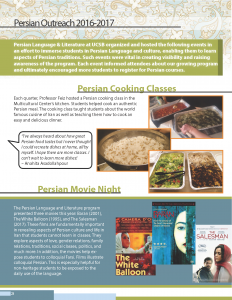 Areas of Study at UCSB: Islamic Studies, Women’s Studies, Feminist Theory, Contemporary Iran, Sexuality and Religion. BA, Japanese, UC Los Angeles, 2011. Areas of Study at UCSB: Islam in America; Religion, Culture, and Identity Formation; Religion and Youth Culture/Movements (with focus on American Muslim youth). BA, Anthropology, California State University, Fresno, 1996. MA, Religious Studies, UC Santa Barbara, 2001. Areas of Study at USCB: Religion and Identity, Religion and the Subaltern Experience, American Indian Religious Traditions, Sociology of American Religious History, Myth and Symbol Theory. BA, Philosophy, UC Santa Barbara, 1982. MA, Religious Studies, UC Santa Barbara, 1987. PhD, Religious Studies, UC Santa Barbara, 1991. Areas of Study at UCSB: Islam, Sociology of Religion, History of Religion. Current Employment: University Professor and Professor of Religious Studies, Department of Religious Studies, DePauw University. BA, Religious Studies and English, UC Santa Barbara, 1990. MA, Religious Studies, UC Santa Barbara, 1992. MA, Theology, St. Vladimir’s Orthodox Theological Seminary, 1996. PhD, History, Brandeis University, 2002. Areas of Study at UCSB: History of Religion, Early Christianity. Current Employment: Associate Professor, Department of Comparative Religion, Miami University (Ohio). BA, Sociology, Minor in Religious Studies, University of Maryland College Park, 2003. Areas of Study at UCSB: Asian American Religion and Culture, Race, Buddhism in the U.S., New Age, Women of Color Feminisms, Vietnamese American Studies. Current Employment: Adjunct Faculty, Asian American Studies, University of Maryland College Park. Adam’s dissertation focuses on The Seven Siddhiḥ Texts, an early corpus of Vajrayāna Buddhist texts that came to be known in Nepāl and Tibet as part of a larger canon of Indian works on ‘the great seal’ or mahāmudrā. In addition to providing text-critical historical analyses of these works, his dissertation focuses on larger issues such as a revaluation of demonology as an analytic paradigm for critical historical research in South Asian religions, inter-sectarian dynamics in the formulation of the Vajrayāna, and practical canonicity and curriculum in tantric Buddhist textual communities. His recently published work is titled “Pakpa’s Verses on Governance in Advice to Prince Jibik Temür: A Jewel Rosary,” published in a special issue of Cahiers d’Extrême-Asie on Kingship, Ritual, and Narrative in Tibet and the Surrounding Cultural Area by The French Institute of Asian Studies (École française d’Extrême-Orient). He has received two U.S. State Department research grants through the Fulbright-Nehru Student Research Fellowship program and the Council of American Overseas Research Centers, and is currently a lecturer in Religious Studies at the University of Colorado, Boulder. BA, Psychology, California State University, Northridge, 1986. PhD, Religious Studies, UC Santa Barbara, 1994. Areas of Study at UCSB: American Religious History, Death and Dying, History of Religions, Religion and Culture. Current Employment: Professor of American Religious History and Cultures, Emory University. BA, Religion, Columbia University, 1994. M.St, Social Anthropology, Oxford University, 1997. Areas of Study at UCSB: Sociology of Religion, Ethics, Nationalism and Religion, Religion and Culture. BA, Art History and Religion, Swarthmore College, 1998. Areas of Study at UCSB: Early Christianity and Ancient Mediterranean Traditional Religions. Current Employment: Assistant Professor of History, University of Tennessee, Knoxville. BA, Religious Studies, Ethnic Studies, and Sociology, UC Riverside, 1999. MA, Cultural Historical Studies of Religion, Graduate Theological Union, 2002. Areas of Study at UCSB: Theories and Methods in the Study of Chinese Religions; Daoism; Religion, Sovereignty, Governmentality, Modernity, and the State in China; Material and Visual Religion; Pilgrimage and Sacred Space; Asian Diaspora in America, and Asian American Folklore. Current Employment: Assistant Professor, Asian American Studies Department, San Francisco State University. BTh, Lund University, Sweden, 1983. MDiv, Church of Sweden Pastoral Institute (Lutheran), Lund, Sweden, 1984. MA, Religious Studies, UC Santa Barbara, 1986. MTh, Church History, Lund University, Sweden, 1986. PhD, Religious Studies, UC Santa Barbara, 1987. ThD, Church History, Lund University, Sweden, 1988. Areas of Study at UCSB: Religion and Politics in the U.S., the New Christian Right Movement, Civil Religion, Religious Rhetoric by U.S. Presidents. Current Employment: Professor and Chair, Religious Studies; Director of Research, Cultural Sciences Division; Linköping University, Sweden. BA, Anthropology and Religion, Dartmouth College, 1999. MA, Religious Studies, UC Santa Barbara, 2002. Areas of Study at USCB: History of Religions, Judaism. Current Employment: Associate Professor, Department of Archaeology and Religious Studies, Norwegian University of Science and Technology. MS, Computer Science, Caltech, 1981. PhD, Electrical and Computer Engineering, UC Santa Barbara, 1995. Areas of Study at UCSB: Ancient Judaism, Hebrew, Psychoanalysis in Relation to Religion. Current Employment: Self-employed contractor, hardware and software. BA, Religious Studies, University of Colorado, 1990. MA, Religious Studies, University of California, Santa Barbara 1996. PhD, Religious Studise, University of California, Santa Barbara, 2000. Areas of Study at UCSB: South Asian Tantra and Yoga, Ancient India, Comparative Esotericism in Asia, Sanskrit. Current Employment: Associate Professor and Chair, Department of Religions, Berry College. BA, Religious Studies, Northern Arizona University, 2001. PhD, Religious Studies, UCS Santa Barbara, 2010. Areas of Study at USCB: Indian and Tibetan Buddhism, Experimental Cognitive Science of Religion, Sacred Space, Contemplative Traditions, Monasticism, Asceticism, Mysticism, Comparative Study of Religion. Current Employer: Assistant Professor of Religious Studies, Warren Wilson College. BA, Religious Studies and History, Western Michigan University, 1969. MDiv, Pacific School of Religion, 1973. PhD, Religious Studies, UC Santa Barbara, 1979. Areas of Study at UCSB: Religion in America, History of Religions. Current Employment: Professor, Department of History; Adjunct Professor, Department of Religious Studies; Indiana University-Bloomington. BA, Religion, North Carolina State University, 2004. Areas of Study at UCSB: Religion in North America, Religion and Race, Religious Social Movements, Evangelical Christianity in the U.S., Religion and Politics, Religion and Discourse, Feminist Studies, Gender and Sexuality. BA, Religious Studies, CSU Northridge, 2012. Areas of study at UCSB: Religion and Philosophy (Phenomenology, Existentialism, Hermeneutics), Buddhist Philosophy, Chinese Religions, Religion and Art/Cinema. BA, Honors History, Portland State University, 1988. MA, Religious Studies, UC Santa Barbara, 1990. Areas of Study at UCSB: Religion in America, Sociology of Religion, Christian Origins, World Religions, Method and Theory in Religious Studies. Current Employment: Professor of Religious Studies, Stetson University. BA, Theology, Texas Lutheran College, 1990. Areas of Study at UCSB: Sociology of Religion. Current Employment: Financial Services Specialist, Independent Capital Management, Camarillo. BA, Religion, Western Michigan University, 1974. MA, Education, Western Michigan University, 1977. MA, Religious Studies, UC Santa Barbara, 1983. PhD, Religious Studies, UC Santa Barbara, 1988. Areas of Study at UCSB: Philosophy of Religion, Indian Philosophy, Western Religious Thought, Religion in America. Current Employment: Core Faculty and Associate Chair, Mythological Studies Program, Pacifica Graduate Institute. BA, Economics, Tufts University, 1984. MA, Religious Studies, UC Santa Barbara, 1991. PhD, Religious Studies, UC Santa Barbara, 1995. Areas of Study at UCSB: Women in Religion, American Religion, Sociology of Religion. Current Employment: Professor, Philosophy & Religious Studies, Sacred Heart University. BA, Journalism, San Francisco State University, 1983. MA, Religious Studies, UC Santa Barbara, 2000. Areas of Study at UCSB: Religion in America, Metaphysical Religious Traditions, Women and Religion, Liberation Theology. Current Employment: Director of Marketing, Seattle Humane Society. BA, Religion and English, Barnard College, 2001. MA, Creative Writing, Boston University, 2007. MFA for Writers, Warren Wilson College, 2009. Areas of Study at UCSB: Hinduism, Punjab/Rajasthan, Sikh Traditions, Devotional Poetry in South Asia, Bhakti Traditions, Religion and Poetry. Current Employment: Visiting Assistant Professor of Religion, Haverford College. BA, International Christian University, 1975. MA, Religious Studies, Yale University, 1979. PhD, Religious Studies, UC Santa Barbara, 1985. Areas of Study at UCSB: Discourses of Religion, History of Human Sciences, Modern European Intellectual History. Current Employment: Professor of History and Comparative Literature, University of Michigan. BA, Religious Studies, University of Virginia, 1987. MA, Religious Studies, University of Virginia, 1989. Areas of Study at UCSB: American Religions. Current Employment: Gloria & David Furman Professor of Judaic Studies, Professor of Religious Studies, Director of American Studies, Virginia Wesleyan College. BA, Philosophy, University of Wisconsin, Madison, 1965. MA, Philosophy, University of Wisconsin, Madison, 1971. MA, Religious Studies, UC Santa Barbara, 1984. Areas of Study at UCSB: Indian Buddhist Philosophy, Philosophies and Religions of India. Retired, Department of Philosophy, University of Delaware. Deceased, 2013. BA, History and Middle Eastern Studies, University of Utah, 2007. Areas of Study at UCSB: Islam, Religion and Culture. Areas of Study at UCSB: Hinduism, Judaism, Comparative Study of Religion, Religion and Literature. Current Employment: Professor and Chair, Department of Religious Studies, Georgia State University. BA, Comparative Religious Studies, Hampshire College, 2003. Areas of Study at UCSB: Native American and Indigenous Religious Traditions, Chican@ and Latin@ Religious Traditions, Native and Christian Interactions in North America. Current Employment: Lecturer and Undergraduate Adviser, Religious Studies Program, University of Arizona. BA, Religious Studies, Duke University, 2003. MA, Comparative Religion, Miami University, 2006. Areas of Study at UCSB: Sacred Space and Spatial Theory, American Religious History, Religion in the American West, Late 20th Century Evangelicalism. Current Employment: Adjunct Instructor, Chapman University; private tutor. BA, Religious Studies and Physics, Franklin and Marshall College, 2003. Areas of Study at UCSB: South Asian Religions, Buddhism. Current Employment: Blakemore Fellow at the International Chinese Language Program, Taipei, Taiwan. BA, Ancient Art History, California State University, Long Beach, 1995. Areas of Study at UCSB: South Asian Religions, Sanskrit, Sacred Space. Current Employment: Visiting Assistant Professor, Department of Religion, Denison University. BA, Philosophy and Psychology, Kent State University, 1987. MA, Religious Studies, Florida State University, 1991. Areas of Study at UCSB: Buddhism in South Asia, Mahayana Buddhist Literature. Current Employment: Professor, Religious Studies, Franklin & Marshall College. BA, Theology and Psychology, Georgetown University, 1974. MA, Religious Studies, UC Santa Barbara, 1976. Areas of Study at USCB: South Asian Religions. Current Employment: Executive Director, Development and Alumni Department, University of Cape Town, South Africa. BA, Political Science and Latin American Studies, Bowdoin College, 1992. MEd, Secondary Education, John Carroll University, 1994. Areas of Study at UCSB: South Asian Religions, Ancient India, Material Culture, Archaeology. Current Employment: Assistant Professor of Religious Studies, Claremont McKenna College. BA, Religious Studies, University of Pennsylvania, 1994. MA, Religious Studies, UC Santa Barbara, 1999. Areas of Study at UCSB: American Metaphysical Religions. Current Employment: Higher Education Reporter, Lansing State Journal, Lansing, Michigan. BA, Religious Studies, Princeton University, 1993. MA, Comparative Religion, Miami University (Ohio), 1996. Areas of Study at UCSB: American Religious History, American Literature, Cultural History of Religion. Current Employment: Associate Professor of Religious Studies, Franklin and Marshall College. BA, English, Pomona College, 1998. MDiv, Eastern Christian Studies, St. Vladimir’s Seminary, 2005. Areas of Study at UCSB: Asceticism and Mysticism in Christianity and Islam, History of Christian Thought (Western and Eastern), Philosophy and Religion, Religion and Film/Literature. BA, English/American Literature and Civilization, Alexandria University in Egypt, 2000. MA, Religious Studies, UC Santa Barbara, 2004. PhD, History, UC Santa Barbara, 2010. Areas of Study at UCSB: Progressive Interpretations of the Quran in Relation to Human Rights and International Law, Islamic Law, Gender Issues in Islam, Religious Nationalism and the Rise of Political Islam, Religion and Violence, Pre-Islamic Arabic Literature and Civilization, Sufism in the Middle East. Current Employment: PhD Student, History Department, UC Santa Barbara. AB, English-Creative Writing, Stanford, 1971. MA, Theology, Pacific School of Religion, 1975. Areas of Study at UCSB: American Religious History. Current Employment: Professor, Department of Religious Studies, Occidental College. BA, English and Religious Studies, UC Santa Barbara, 2002. Areas of Study at UCSB: Modern Jewish Philosophy and History, History of Science and Religion, Biblical Hebrew, Theology and the Popular Imagination. Current Employment: Lecturer, Departments of English and Religious Studies, University of Miami. Brendan Newlon is a doctoral candidate in the Department of Religious Studies at the University of California, Santa Barbara. His research topics include: Traditional Islam, Islam in America and in China, Islamic Law, American Religions and Spirituality, East Asian Religions, History of Religions, and Theories of Religion. He has translated several works from Arabic and Chinese; these and other publications can be found on his Academia profile. BA, Religious Studies, UC Santa Barbara, 2006. MA, Religious Studies, UC Santa Barbara, 2013. Areas of Study at UCSB: Islam in America, Islam in China, Islamic Law, American Religions and Spirituality, East Asian Religions, History of Religions, and Theories of Religion. BA, History of Religion, UC Santa Cruz, 1993. Areas of Study at UCSB: Chinese Religions; Chinese Religious Geography. Current Employment: Director, Greater China Initiative for Study Abroad. BA, Film Studies, Cornell University, 1984. MA, Religious Studies, Boston University, 1987. Areas of Study at UCSB: Hindu Studies, South Asian Religions. Current Employment: Professor and Director of International Studies, Loyola University, Chicago. BA, English and French Literature, Rutgers University, 2008. Areas of Study at UCSB: South Asian Religions, Religions in North America, Religion and Culture. BA, Religious Studies, Northwestern University, 2000. Areas of Study at UCSB: Nature Religion in the United States, Women and Religion, Theories of Sacred Space and Ritual. Current Employment: Associate Dean of Students, Division of Social Sciences, University of Chicago. BA, Religious Studies, UC Santa Barbara, 1991. PhD, Religious Studies, UC Santa Barbara, 2001. Areas of Study at UCSB: Religions of South Asia. Current Employment: Director, Shruti Institute for Vedic Arts. BA, Religious Studies, University of Oregon, Eugene, 1977. MDiv, Pacific School of Religion/Graduate Theological Union, Berkeley, California, 1981. MA, Religious Studies, UC Santa Barbara, 1985. PhD, Religion, Ethics & Society, Emory University, Atlanta, Georgia, 1996. Areas of Study at UCSB: Religion in America, Sociology of Religion. BA, Philosophy/Religion, Stanford University, 1992. MTS, Harvard Divinity School, 1995. Areas of Study at UCSB: History of Judaism, Southeast Asian and East Asian Buddhism, Indo-Tibetan Buddhism, History of Religions/Comparative Methodology. Current Employment: Associate Professor of Religion, Baldwin-Wallace University. BA, Philosophy, Pomona College, 1998. Areas of Study at UCSB: South Asia, Tibetan studies, Anthropology of Religion. Current Employment: Lecturer, Department of Philosophy and Religious Studies, University of Wisconsin-Whitewater. BA, Theology, Universita Gregoriana di Roma, 2002. BA, Political Science, University of the Republic, Uruguay, 2003. MA, Political Strategy, National Institute for Higher Studies, Uruguay, 2004. Areas of Study at UCSB: Islamic and Christian Political Theology, Arabic, Islamic and Christian Philosophy, Qur’anic Studies. BA, History, Boise State University, 2000. MA, History, Boise State University, 2005. Areas of Study at USCB: Early Christianity, Imperial and Late Antique Roman Empire, Martyrdom, Philosophy of Religion. Areas of Study: American Religious History, History of Chaplaincy in the U.S. Military, Evangelical Christian Influences on U.S. Military Culture, Roles of Chaplains as Mental Health Specialists in the U.S. Military. AB, St. John’s College, California. MA, Religious Studies, UC Santa Barbara, 1968. PhD, Religious Studies, UC Santa Barbara, 1974. Areas of Study at UCSB: Comparative Symbolism, History of Religions. Current Employment: Chancellor Emeritus, University System of New Hampshire. BA, Philosophy, Texas A&M University, 2000. MA, Religious Studies, UC Santa Barbara, 2008. Areas of Study at UCSB: Tibetan and Himalayan Buddhism, South Asian Buddhism, South Asian Popular Hinduisms, Social/Cultural History of Asian Religions. BA, Religious Studies and German, Missouri State University, 2002. MA, Religious Studies, Missouri State University, 2005. Areas of Study at UCSB: American Religions; Religious Pluralism; Race, Ethnicity, and Religion; Material Culture and Embodied Practice. BA, Religious Studies, Antiquities, Anthropology, Southwest Missouri State University, 1990. MA, History of Religions, Southwest Missouri State University, 1997. Areas of Study at UCSB: South Asian Tantra and Yoga. BA, Religious Studies, University of Arizona, 1997. MA, Middle East Studies, Univ. of Texas at Austin, 1999. Areas of Study at UCSB: Islam in America, Literature by Muslims in America. Current Employment: Poet; English Teacher, Moorpark High School. BA, Philosophy, San Jose State University, 1963. MA, Philosophy, UC Berkeley, 1965. MA, Religious Studies, UC Santa Barbara, 1973. PhD, Religious Studies, UC Santa Barbara, 1977. Areas of Study at UCSB: Religion and Humanities, Comparative Religion. Current Employment: Professor Emeritus of Philosophy and Director of Religious Studies, California Polytechnic State University, San Luis Obispo. BA, Philosophy, Northeastern University, 2007. Areas of Study at UCSB: Political Islamic Movements, Politicization of Gender and Sexuality, Religious Conceptions of the Body, Religion and Law, Religion and Violence, Contemporary Issues Facing Muslim Communities in the U.S. and Europe, Islam in the Media. BA, Religious Studies, Brown, 2006. Areas of Study at UCSB: Religion and Science, Asian Religions. BA, Film Studies, Wesleyan University, 1990. MFA, Directing, American Film Institute, 1992. MA, Buddhist Studies, Naropa University, 2005. 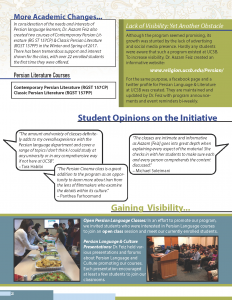 Areas of Study at UCSB: Buddhist Studies in Sanskrit and Tibetan. Current Studies: Doctoral Candidate in Oriental Studies at Oxford University. BA, Political Theory/Psychology, Reed College, 1967. PhD, Clinical Psychology, CSPP, 1976. Areas of Study at UCSB: Buddhism. Current Employment: Self-employed Clinical Psychologist. 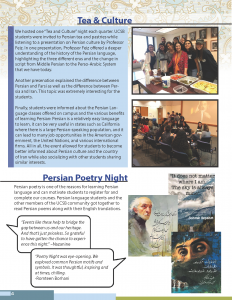 BA, Near Eastern Language and Civilizations, Political Science, English Literature, University of Washington, 2009. MA, Religious Studies, UC Santa Barbara, 2012. Areas of Study at UCSB: Classical Islamic Law, Jurisprudence, Theology and Political Theory; Contemporary Islamic Intellectual History; Secularism; Modernity. BA, Comparative Religion, Harvard University, 1992. MA, Religious Studies, UC Santa Barbara, 1998. Areas of Study at UCSB: American Religious History, Religion and Culture, Chinese Religion. Current Employment: Associate Professor of American Religion, College of Charleston. BA, Religion, Colorado College, 1996. MA, Religious Studies, University of Colorado, Boulder, 2001. Areas of Study at USCB: Islam in South Asia, Women and Religion, South Asian Religious Reform Movements, Religious Conflict and Identity, Postcolonial Studies, Mysticism, Religions of the Himalayan Hills, Islam in Nepal. Current Employment: Associate Professor, Religious Studies, Gettysburg College. BA, Religious Studies, UC Santa Barbara, 1982. Areas of Study at UCSB: Religion in America, Sociology of Religion, Religion and Culture. Current Employment: Professor of Religious Studies and Chair, Department of Philosophy & Religious Studies, Western Illinois University. BA, Religious Studies, Michigan State University, 2007. Areas of Study at UCSB: American Religious History, Sexuality & Religion, Women & Religion, Global Christianities. BA, Religious Studies, Southwest Missouri State University, 1997. MA, Religious Studies, Southwest Missouri State University, 1999. Areas of Study at UCSB: Gender, Protestant Fundamentalism, Critical/Social Theory, American Religions. Current Employment: Assistant Professor of Religious Studies, Avila University. BA, Philosophy, Central Connecticut State University, 2002. MA, Religious Studies, Columbia University, 2004. Areas of Study at UCSB: Religion and the State, Religion and Violence, Martyrdom, Early Christianity, Theories of Religion. BA, Philosophy, University of Houston, 1988. MA, Social Anthropology, University of Ankara, 2002. PhD, Religious Studies, UC Santa Barbara, 2006. Areas of Study at UCSB: History of Religions, Islam, Sufism, Saints. Current Employment: Assistant Professor, Mardin University (Turkey). BA, Religion, Tufts University, 1996. MTS, Harvard Divinity School, 1999. JD, UCLA School of Law, 2004. PhD, Religious Studies, University of Cape Town, 2010. Areas of Study at UCSB: Religions of South Asia, Religion and Law, Religion and Popular Culture. Current Employment: Dean of Religious Life, University of Southern California. BA, Religious Studies, UC Berkeley, 1998. MTS, Harvard Divinity School, 2001. 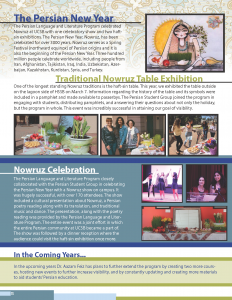 Areas of Study at UCSB: History of Religions and Jewish Studies, Women and Religion, Iranian Jewish History. Current Employment: Assistant Director, Jewish Studies Program, Loyola Marymount University. BA, Philosophy, University of Houston, 1998. Areas of Study at UCSB: Religion and Law, Criminal Justice, Social Theory and Law. Current Employment: Assistant Professor, Saint Louis University School of Law. BA, University of Arkansas, 1999. Areas of Study at UCSB: Indian Hagiography, History of India, Religious Nationalism, Historiography, Languages (Hindi, Persian, Sanskrit). BA, Religious Studies and Sociology, Colgate University, 1999. MTS, Christianity and Culture, Harvard Divinity School, 2003. Areas of Study at USCB: History of Religion in the U.S., Philosophy of Religion, Social and Cultural Theory, Formations of Subjectivity, Memory and Memorialization. BA, Political Science, Brown University, 1990. MA, Religion and Women’s Studies, Dartmouth College, 1993. Areas of Study at UCSB: American Religion, Religion and Environment, Popular Culture, and Media Studies. BA, Religion, Istanbul University, 2004. MA, Islamic Law, Marmara University, 2007. Areas of Study at UCSB: Islamic Studies, Islamic Law and Legal Theory, Qur’anic Studies, Hadith, Islamic Philosophy and Theology, Islamic History, Religious Identity and Secularism, State and Religion, Human Rights and Religion. BA, Art, Flagler College, 1989. MA, Religious Studies, University of South Florida, 1994. MA, Sociology, University of South Florida, 1995. Areas of Study at UCSB: New Religions in the United States, Women and Religion, Sociology of Religion. Current Employment: Ventura College Community College District. BA, Philosophy and Judaic Studies, Binghamton University, 1996. Areas of Study at UCSB: American Religious History, History of Religions, Aging and Retirement, Religion and Popular Culture, Race and Religion in the U.S., Contemporary Judaism. BA, Religious Studies and Anthropology, University of Colorado, 1979. MA, Religious Studies, UC Santa Barbara, 1982. DPhil, Social Anthropology, University of Oxford, 1988. Areas of Study at UCSB: Sociology and Anthropology of Religion, Native American Traditions. Current Employment: Director at the Max Planck Institute for the Study of Religious and Ethnic Diversity, Göttingen; Honorary Joint Professor of Sociology and Ethnology, University of Göttingen. MA, Women’s Studies, Ohio State University, 1993. MA, Christian History, Graduate Theological Union, 2004. Areas of Study at UCSB: American Religions, Christian Science, Religion and Gender. Current Employment: American Congregational Association—Boston Athenaeum Fellow; White Mountains Institute at Plymouth State University. BS, Political Studies, Sociology, and Religious Studies, University of Cape Town, 1990. Areas of Study at UCSB: History of Religion, Chinese Religions, Buddhism. Current Employment: Associate Professor and Chair, Department of Religion, Vassar College. BA, English Literature, UC Santa Barbara, 1963. MA, English Literature, UC Santa Barbara. 1965. PhD, Religious Studies, UC Santa Barbara, 1986. Areas of Study at UCSB: Religion and Literature. Current Employment: Professor Emeritus, Santa Barbara City College; novelist. BA, Religious Studies & Theatre Studies, Wellesley College, 1999. Areas of Study at UCSB: American Religious History, Childhood & Religion, Gender & Religion, New Religious Movements. Current Employment: Instructor, Department of Theology and Religious History, Cherry Hill Seminary. BS, Biological Sciences, Stanford University, 1993. MA, Women’s Studies in Religion, Claremont Graduate University, 1996. Areas of Study at UCSB: Sociology of Religion, U.S. Religious History, History of Religions, Feminist and Gender Theory, Queer Theory. Current Employment: Associate Professor of Religion and Gender Studies, Whitman College. BA, Medical Microbiology, Stanford University, 1982. MA, Hispanic Studies, Monterey Institute of International Studies, 1989. Areas of Study at UCSB: History of Religions, American Religious History. Current Employment: Professor of Comparative Religion, Western Michigan University. BA, Theater History and Dramatic Criticism, Whittier College, 1996. MDiv, Claremont School of Theology, 2001. Areas of Study at UCSB: Christian Thought, Theology. MA, Religious Studies, Indiana University, 1976. Areas of Study at UCSB: Religion in American History, Christian Social Ethics. BA, History, California State University at Los Angeles, 1972. PhD, Interdisciplinary Studies (Religious Studies, History, Languages), UC Santa Barbara, 1983. Honorary Doctor of Humane Letters from DeSales University, PA, 2000. Areas of Study at UCSB: History of Christian Spirituality, Early Modern Catholicism. Current Employment: Professor & Kenefick Chair in the Humanities, Creighton University. BA, Social Sciences, International Christian University/Tokyo, 1974. Areas of Study at UCSB: Religious Anthropology, Philosophy of Religion, History and Philosophy of Buddhism, Christian Medieval Thinkers, Mysticism, Philosophy of Language, Upanishads, Indian Religious Traditions. Current Employment: Professor of Japanese and East Asian Studies, Department of Modern & Classical Languages and Center for East Asian Studies, Western Washington University. BA, International Relations, Stanford University, 1990. Certificate, Center for Arabic Study Abroad, American University in Cairo, 2000. Areas of Study at UCSB: Islam, Modern Islamic Political Movements, Middle Eastern Politics, Algerian Civil War, Women and Gender in the Middle East, Non-governmental organizations (NGOs) and Human Rights.